Curds and Wine will be celebrating our 2-year anniversary this month! Since we opened on November 11, 2010, we have met so many great new winemakers and cheesemakers in that time - many have already won awards for their homemade wines and cheeses! We will have a very special sparkling wine disgorging demonstration on Sunday November 11th at 1 pm as well as cheeses from Venissimo, we hope you can join us to help us celebrate! 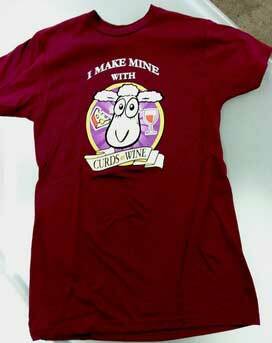 We also now have Curds and Wine logo T-shirts, available in the shop or online. Don't forget -- all of our products are available online for shipping or for in-store pick up! 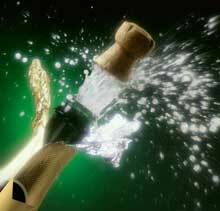 Have you ever wondered how those bubbles get in your sparkling wine? Join us at Curds and Wine to celebrate our Two-Year Anniversary with a very special winemaking demonstration. The 2012 Best of Division winners of the San Diego County Fair for their sparkling wine made from a kit will talk about how sparkling wines are made, then show you one of the most dramatic processes in this winemaking -- disgorging the sediment from the riddled wine. You can even sign up to make your own sparkling wine on site at Curds and Wine! This is a free demonstration! Please RSVP for this event here. 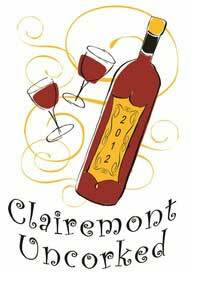 Ticket sales are now open for the 4th Annual Clairemont Uncorked event, an event organized by the Clairemont Chamber of Commerce. Your ticket purchase includes five wine tastes of your choice, scrumptious tray passed hors d'oeuvres, mouth-watering desserts and a commemorative wine glass. Join business owners (including Curds and Wine! ), neighbors and friends at this must-attend event where you can sip, nibble, enter to win prize drawings and enjoy live music! It's Time to Pre-Order 2013 Limited Editions! 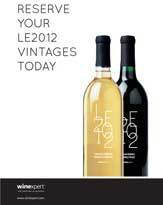 Limited edition wine kits for 2013 have been announced! We will be taking pre-orders online or at the shop for these amazing wine kits; if you order online your wine kit will be prepaid, or you can contact us to reserve kits and pay when the kits arrive in the shop. Be sure to reserve yours -- they sell out every year! PREORDERS DUE BY WEDNESDAY DECEMBER 5TH! PREORDERS DUE BY SUNDAY NOVEMBER 25TH! Don't miss out! Preorders for Winexpert Limited Editions are due by Wednesday 12/5, and KenRidge Preorders are due by Sunday 11/25! Reserve yours today! Join us at Curds and Wine to learn how easy and rewarding it is to make your own cheeses at home! At this class you will learn the fundamental processes behind fresh cheesemaking as well as the techniques for making pressed cheeses and aged cheeses such as cheddar, gouda, and camembert. We will show you how to make fromage blanc, ricotta, and queso fresco, and demonstrate the processes involved in making feta, swiss-style cheeses and mold-ripened cheeses such as camembert/brie-style and blue cheeses. We will have samples of the various styles of cheeses you can make at home from Venissimo, as well as other refreshments. Finally, you will receive a packet with a recipe booklet to make the cheeses from the class as well as basic supplies to get you started with your cheesemaking. You will also receive a 10% discount on any purchase in the shop following the class. Please note: Curds and Wine will be CLOSED Wednesday 11/21/12, Thursday 11/22/12, and Friday 11/23/12. Have a very Happy Thanksgiving!